Special presses: G.M.R. 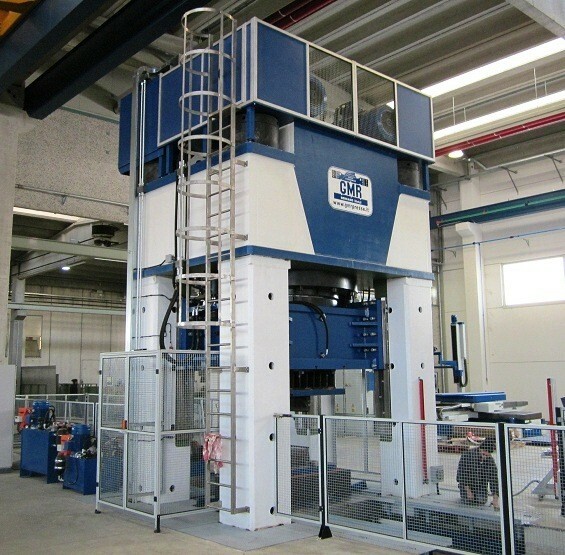 Presse in Bergamo designs and manufactures special presses. For example, we recently produced a special squaring press. 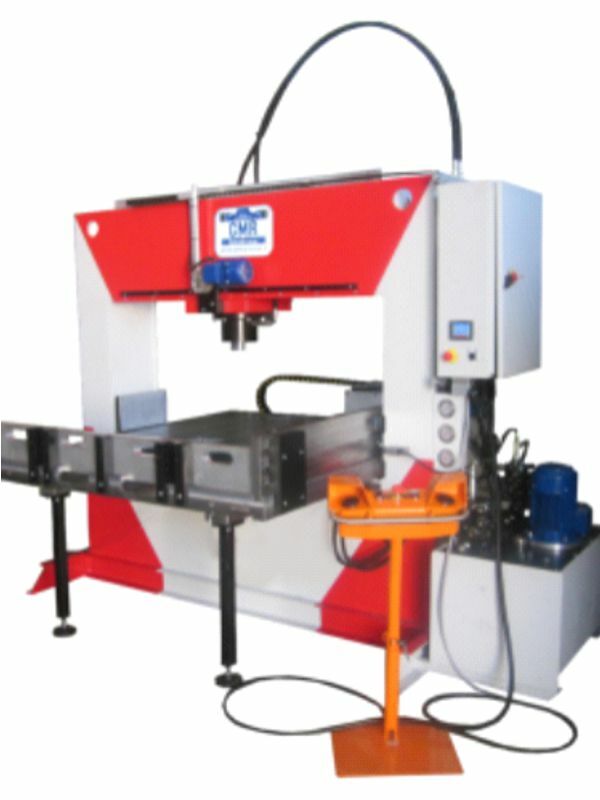 This is a 40 Ton hydraulic press with a motorised moving piston, a bottom bench with hydraulic sliding and auxiliary squaring units. - Masonry works designed for machinery placement (holes, anchoring coach screws, etc....). A continuous and constant development, team professionalism and advanced technology were always our company’s prerogatives. For this reason G.M.R. ranks highly in the industry bringing high versatility and product quality, essential principles for any dynamic and productive company. Complementary works: the company designs and carries out all necessary works to implement all production requirements and make it fully functional. Our complete service includes: wall works, anchoring systems, complementary and carpentry accessories, conveyor belts, etc.